North Carolina's HB2 law, passed in March and requiring that residents use public restrooms that correspond with the gender assigned them at birth, was one of the most controversial pieces of legislation in recent memory. Gov. Pat McCrory came under immense criticism for signing the law, and his struggle to defend it partly explains why he just lost his reelection campaign. North Carolinians were not happy that their state was the target of boycotts, from Bruce Springsteen to the NCAA championship games canceling their scheduled events. North Carolina's legislature met Wednesday to repeal HB2, but their failed effort to do so has shocked and disappointed observers across the nation. The non-repeal has an added sting for Democrats in the city of Charlotte, who acted on good faith to compromise with Republicans at the state level. 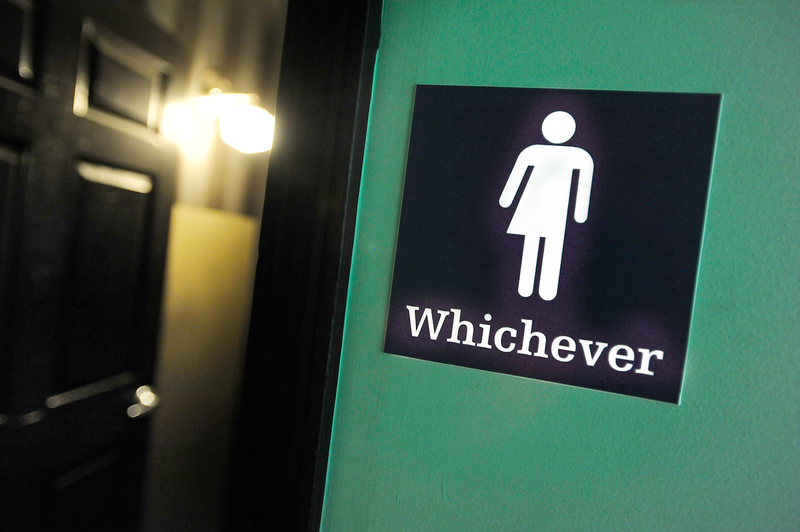 The city council of Charlotte had passed an ordinance which mandated that all city businesses allow transgender individuals to use the restroom of their choice. But Charlotte officials agreed to overturn it, having been promised that HB2 would be repealed by the state. Alas, that did not happen, in what looks like another power move by North Carolina Republicans. Understandably, plenty of locals are upset, but the opposition doesn't stop at state lines. So here are a few ways to protest the non-repeal of HB2. Change.org has a petition specifically to voice your opposition to HB2, titled "Allow the Transgender Community to utilize restrooms that align with their gender identity." As of Dec. 22, with just 219 more signatures more, they will reach their goal of 1,500. The ACLU makes it their mission to defend the civil liberties of all Americans, and they have taken up the cause against HB2. Your donation will help fund their necessary purpose. If you live in North Carolina, then you are eligible to volunteer with "Equality North Carolina," an organization "dedicated to securing equal rights and justice for lesbian, gay, bisexual, transgender, and queer (LGBTQ) North Carolinians." Ultimately, the future of HB2 belongs in the hands of North Carolina's voters. And there are plenty of ways to reach out to them, whether promoting a Facebook post their way, connecting through social media, or even taking a road trip through the Tar Heel state. Whatever route you choose, make sure your stance on HB2 is heard.